The first few times I had friends over for dinner, I was a total rookie. I’d plan out a fabulous menu consisting of several courses that I was sure would wow my guests, thinking it was completely fine that none of these courses could be prepared in advance (yeah…uh oh). The result was the same every time. My friends would walk through the door to a kitchen cluttered with every single pot, pan, and dish dirtied on the counter or in the sink, and a harried and slightly grumpy hostess (yup, that would be me), trying to cook five things at once without burning or ruining anything. These days I’m a bit more experienced and smarter about how to entertain guests, and part of my planning is to always (always, always!) have a cheese plate. Having a great cheese plate takes pressure off of me because I can set it up in advance and focus on the main course instead, and it also gives guests something to munch on when they arrive. 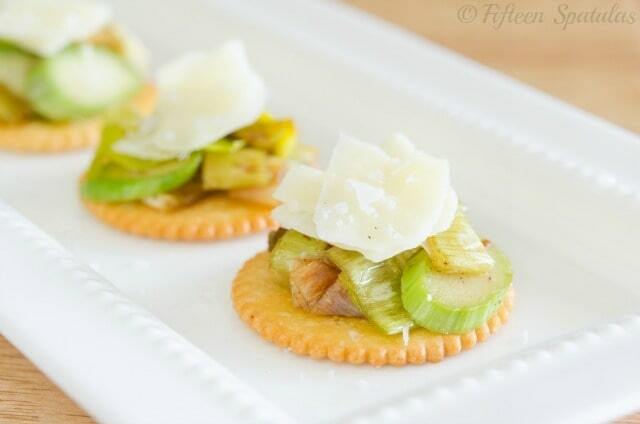 Cheese and crackers don’t have to be boring as long as you’re making smart pairings and getting creative. 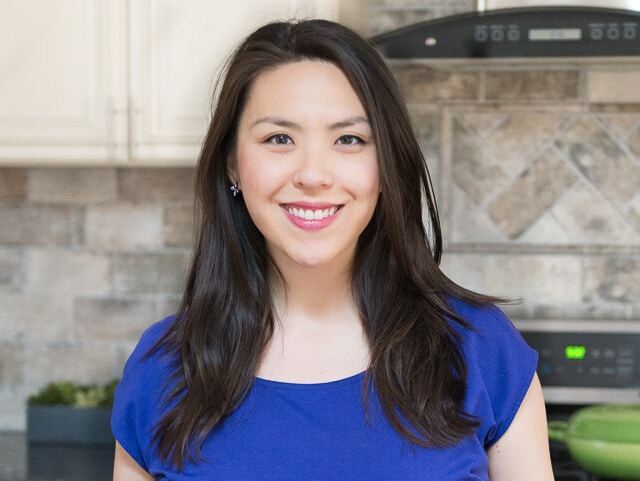 So let me share some spring cheese pairing ideas with you! As I see it, there are three major ways to put together a cheese plate. Cheese Plate #1. Place a collection of complementary ingredients together on a platter, and let people play. Each ingredient here has a different flavor sensation and texture, and any combination plays well together. The Cracker Barrel Vermont white is salty, savory, and smooth, the strawberries are sweet and acidic, the balsamic glaze has a sweet acidic bitterness, the mint is fresh and bright, and the crispy crackers have a bit of black pepper for spice. 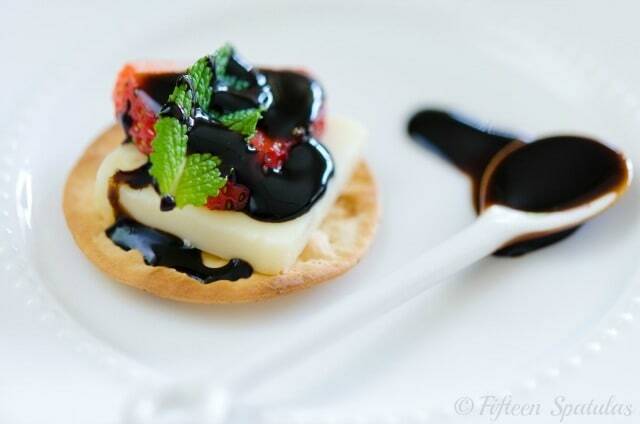 The strawberries, mint, and balsamic all have qualities that complement the rich, full flavor of the cheddar. Cheese Plate #2. Assemble the cheese pairings as two-bite hors d’ouerves. I prefer Cheddar shavings over Parmesan shavings here because the Aged Reserve shavings add a lovely creaminess but still have a complex, sharp flavor. Cheese Plate #3. 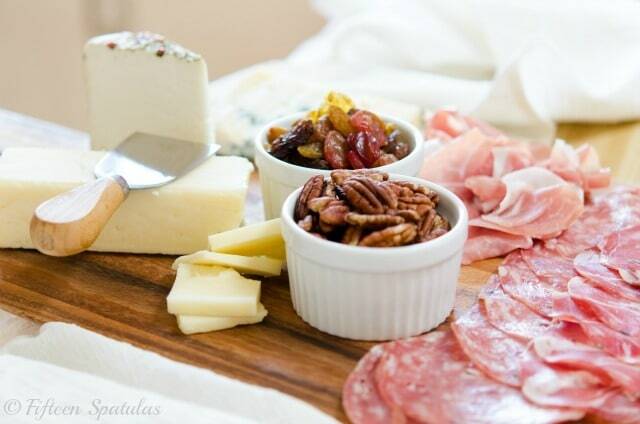 Make a classic cheese board with smartly selected cheeses, charcuterie, nuts, and dried fruit. Always have an authentic, good quality cheddar cheese as an anchor. Cheddar is the most widely produced and consumed cheese style in the world, and is always a favorite. I often pick Cracker Barrel’s Marbled Sharp because I love the mix of yellow and white cheddar (and this cheese solves my indecisive tendencies), though I love Cracker Barrel’s Aged Reserve as well. Select three cheeses that are fairly different from each other. Mix and match different moisture contents, textures, fat contents, or type of milk. You might choose to have a sharp cheddar, a semi-soft blue cheese, and a hard cheese like parmesan or gruyere. Or maybe a cheddar, soft brie, and a gouda. Add nuts (pecans, cayenne maple glazed walnuts, smoky almonds, etc), and have a sweet element on the cheese board too. Both dried fruit and fresh fruit work beautifully. 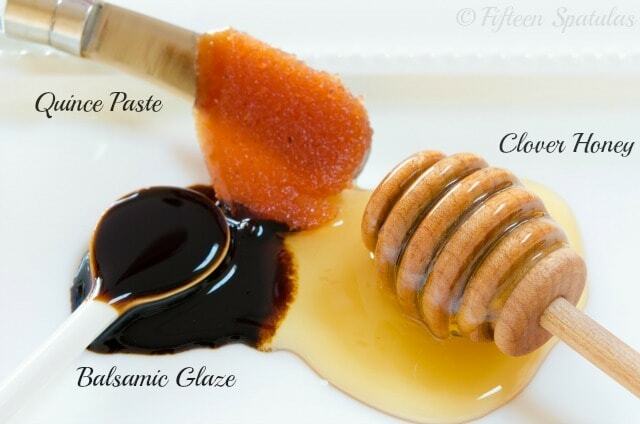 You can also add sweet, floral, tangy accents like quince paste (jammy, like a cross between apples and pears), clover honey (floral, sweet), balsamic glaze (tangy, slightly bitter), or high quality fruity or figgy jams. The options are pretty much endless, but when thinking about what to pair, remember to consider the qualities of each ingredient you add, and aim for a balance of flavors and texture. Try to include an ingredient that hits each sensation of the taste buds: salty, sweet, sour, bitter, and umami. 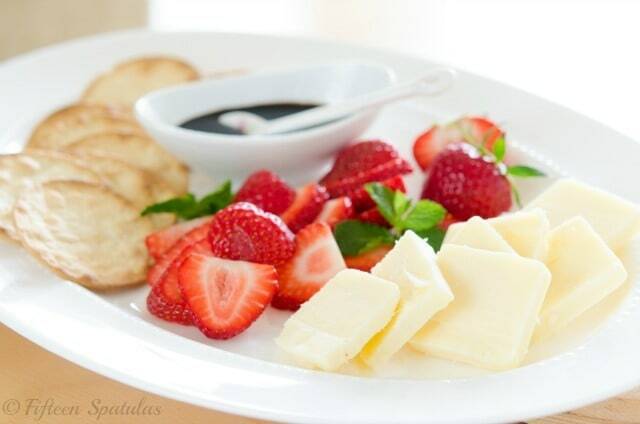 What are some of your favorite cheese pairings? Disclosure: I am proud to be a brand ambassador for Cracker Barrel Cheese. I grew up eating their cheeses and believe that they have very high quality yet reasonably priced and accessible cheeses. I have been compensated for my time but all opinions are my own. I’m really not a huge plain cheese fan (mixed in with other things, that’s a different story) but this post makes me want to actually try some of those cheese plate offerings next time they’re available! Hey Myrtle, cheese on its own has grown on my over time, particularly after a trip to France is when I fell in love. The strong cheeses especially are an acquired taste! I love a good cheese plate and it’s always got a good cheddar, a brie or camembert, and a lovely blue cheese. Then alongside it’s pecans, dates, reduced balsamic sauce, quince paste and an onion jam. This post makes me happy. I need cheese now. 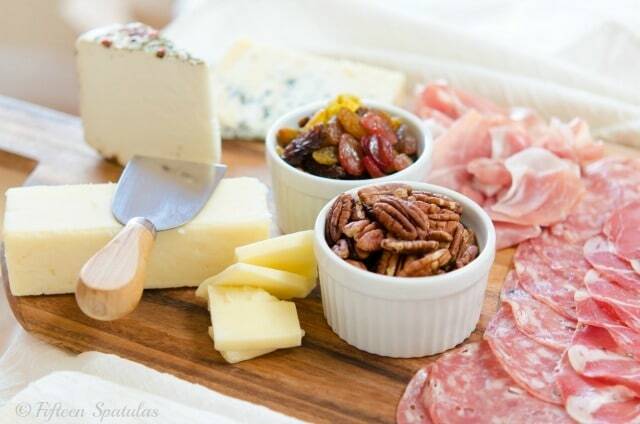 That cheese plate sounds lovely! Do you have a quince paste brand you would recommend? I bought one last weekend and returned it because I didn’t like it. I made quince paste from scratch once and LOVED it, but it seems so hard to find fresh quince! I will probably keep trying more brands. I grew my own quinces at our last house and they’re available every year in the farmers markets so I always make my own. There are several good ones that are here but wouldn’t be there. 🙂 I’m a Yank in Oz — at the end of a long piece of string in Australia. I’m thinking you throw a seriously tasty dinner party. Every cheese plate is sheer perfection.